provide over 40,000 vaccines to children in the greatest need. globally are not afforded the basic vaccines they need to stay healthy. Polio can cause crippling paralysis or death within hours of infection. to eradicating this highly infectious and incurable disease. Every year, measles kills approximately 118,000 children worldwide. of the world’s most vulnerable children against this deadly disease. reach children who cannot be easily reached. For more information, please visit http://www.researchandmarkets.com/charity/unicef. 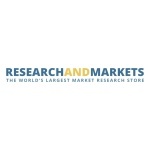 Research and Markets is the world’s leading market research store. and market data to help you make efficient and effective decisions.